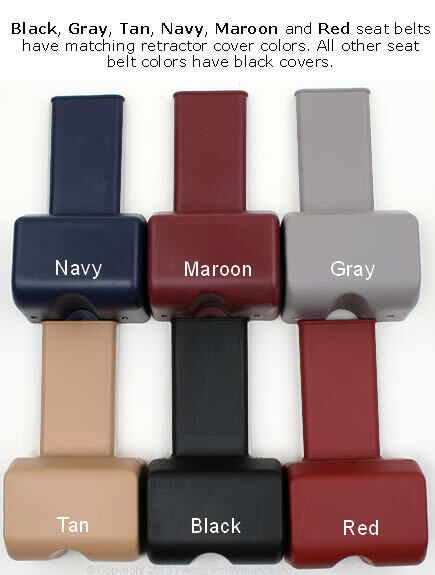 Replacement Retractable Seat Belts in 30 colors. 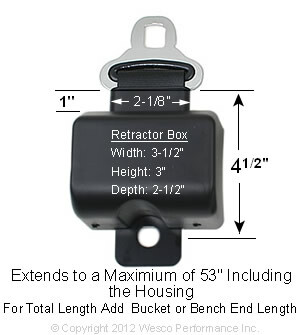 You can choose either our 2-point or 3 point belts for either a bucket or bench seat. What is ALR - ELR? 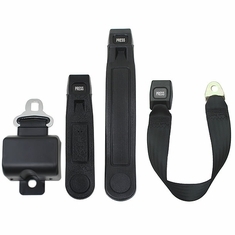 Each belt works for either the driver or passenger seat in your car, van or truck. Price includes 1 seat belt for one seat / passenger. And like all of our passenger car belts, these retractable seatbelts are universal fit and meet the Federal Motor Vehicle Safety Standards (FMVSS) #209 & #302. These belts are safety tested and approved, sewn, assembled and packaged here in the USA. Don't be fooled by cheap seat belts made and tested overseas. You and your family can have the comfort of knowing that your new seatbelts meet the strict US Federal safety standards! Each replacement seat belt below is universal fit. Buy Your Retractable Seat Belts for Sale Prices Below! 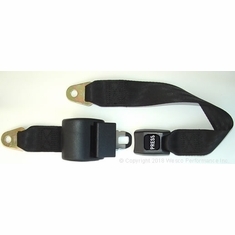 These are made in the USA universal fit aftermarket seat belts. They are not specific to year, makes or models. Choose by your vehicle type or application type below. Or use our Seatbelt Finder Click Here to determine the correct belt. 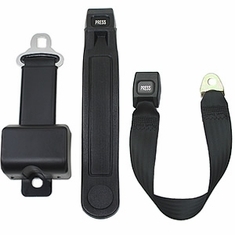 All of our 3 point retractable seat belts are ELR Retractable. Each is equipped with an Emergency Locking Retractor (ELR) inertia reel What's That?, which allows free movement while driving, but automatically locks in an emergency ("webbing sensitive"). Each 2 point retractable seat belt is ALR (except our #i-2017-travel), meaning they can be used for child seats, because they will lock in one position. For high middle console applications (17" or more when measured from floor to top of console. 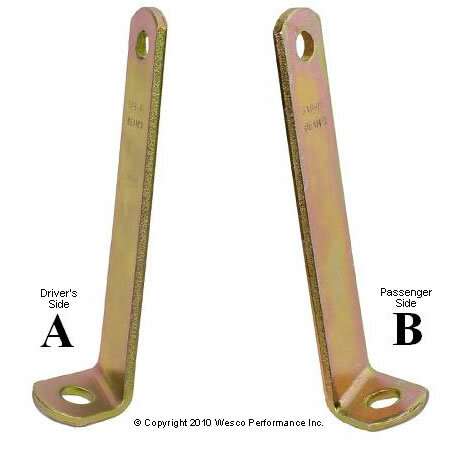 example: Jeep Wranglers) one 6 inch extension bracket (# 6-AB) is needed for each seat belt installed (front seat). 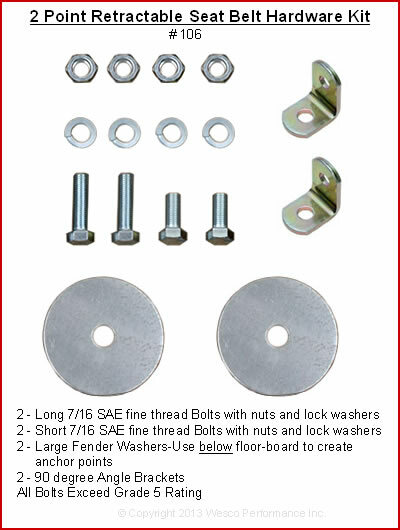 Click on our Belt Hardware Page link below to add to shopping cart or to order. 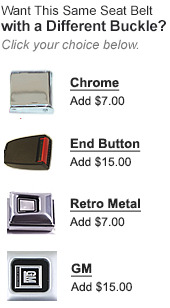 SeatBelts Hardware Page. Click Here to view the bracket. Click Here to see how it attaches to the seat belt end. Please view our detailed installation instructions and also examine your vehicle to determine if the seat belt is compatible with your application. This is a 3 point seat belt (both lap & across shoulder). It extends to 134" out of the retractor. Safety approved, sewn, assembled, packaged and safety tested in the U.S.A. Don't settle for less! It is universal fit, so it is perfect for most any standard top car, truck or van. Retracts neatly out of the way when unbuckled. Works for both driver or passenger side, front or back seat. Choice of: 11" or 8" Rigid Sleeve End for High or Low Bucket Seats. 30 colors to choose from, 7 Standard and 23 Custom colors. Federally Safety approved #209 & #302 and meets Society of Automotive Engineers (SAE) J386 specs! Federal Motor Vehicle Safety Standards (FMVSS) #209 & #302 safety approved and meets SAE J386 specs. Safety tested and approved, sewn, assembled, packaged in the USA. Why buy anything else! These seatbelts extend to 120 inches. Work in either driver or passenger side positions, front or back. Compare the installation instructions to your auto to confirm that this seat belt is vehicle compatible. The price shown is for one seatbelt for one seat / passenger. Choice of: 11" or 8" Rigid Sleeve EndFor Bucket Seat Choose Either 11 or 8 inch Length for High or Low Bucket Seats or 20" Floppy Bench Seat End. Retracts conveniently out of the way when unbuckled. Designed for an auto that has a door post that does NOT go higher than the bottom of the side window of the car. 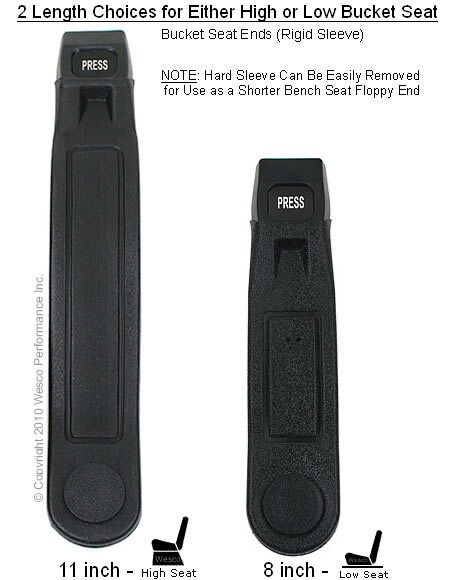 Retractable seat belts sewn, safety tested and approved, assembled, packaged in the USA. Safety is our Top Priority! Specifically designed for roadsters (convertible cars with little or no back seat). These aftermarket Universal Fit Belts, so certain vehicles, models, years may require modifications/retrofitting. Extends to 113". They are great for most roadsters and certain 75' 76' 77' 78' 79' Ford Trucks. Certain vehicles, models, years may require modifications/retrofitting. Compare the installation instructions to your automobile to confirm that this seat belt is vehicle compatible. Retracts nicely out of the way when unlatched. Choose either bench or bucket seat application. Works for both driver or passenger side seat, back or front. It is equipped with an ELR Retractor. What's That? These belts are designed to be installed with the retractor unit installed just below the bottom of the window and behind the shoulder. Choice of Bucket Seat Rigid End or Bench Seat Floppy End. Best used with a normal to higher seat application. These are 2 point retractable lap belt with buckle only (no shoulder harness). These are universal fit, so they are perfect for most cars / vehicles. Compare the installation instructions to your car, truck, van to confirm that this seat belt is vehicle compatible. 30 colors to choose from, 6 Standard and 23 Custom colors. 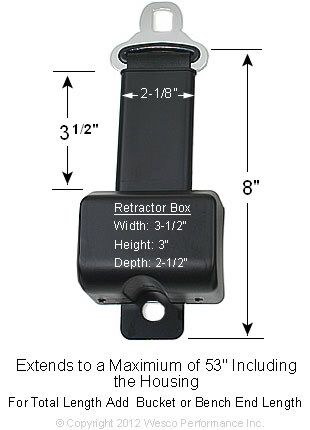 Features an ALR / ELR Retractor. What's That? They extend to 53" including the housing. Add bucket or bench end length for total length. Of course these seat belts are Federally Safety approved #302/#209 and meets SAE J386 specs! Works for either driver or passenger side seat. 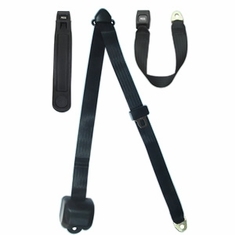 These are 2 point retractable seatbelts lap belt (no shoulder harness). When unbuckled, it retracts conveniently out of the way . You can choose for either a bucket or bench type seat application. Works for both passenger or driver side seat. Equipped with an ALR / ELR Retractor. What's That? To see the optional hardware kit that you can add to your order below Click HereHardware Kit Optional. Federally Safety approved (FMVSS) #209/#302 and meets Society of Automotive Engineers (SAE) J386 specs! This is our Short Housing restraint, meaning that it is best used with a low seat configuration. 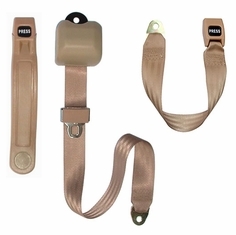 This is a very unique retractable 2 point seat belt (lap belt only). It is a perfect restraint for a middle bench seat position or any back seat position where a retractable lap belt is needed. And of course it is Federal Motor Vehicle Safety Standards (FMVSS) #209 & #302 approved! It's unique design allows it to remain neatly out of the way towards the back of the seat when not in use. 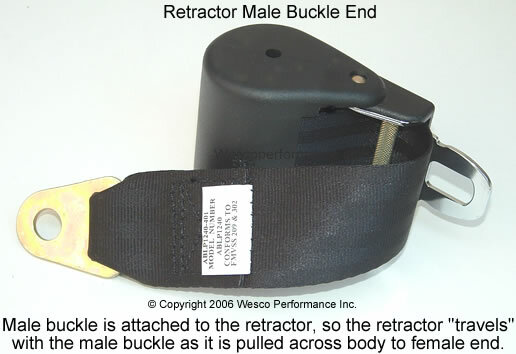 The male portion of the belt is connected to the retractor unit so the retractor travels with the male portion of the buckle as it is pulled across the occupant's body to snap into the female portion. Click Here to see an enlarged photo of the male retractor end. 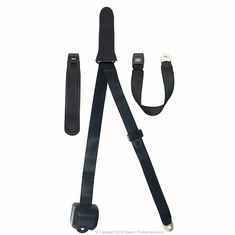 These are universal fit lap belts so they are great for most any middle position front bench seat or side or middle back seat applications. This restraint is NOT ALR. They are installed basically just like any of our Non-Retractable 2 point lap belts. Price includes 1 seat belt for 1 occupant. Extends to 60 inches. Available in black only. 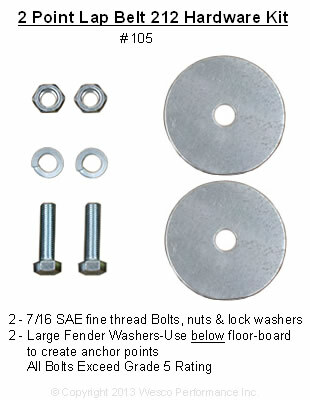 Each optional 212 replacement hardware kit includes all the hardware that you need for 1 seatbelt.